Zinedine Zidane reportedly wants Real Madrid duo Toni Kroos and Marcelo at his next club as he looks set to join either Manchester United or Juventus. 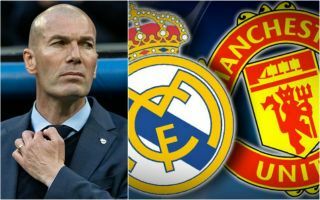 According to Spanish source Don Balon, Zidane has communicated this desire to United, who would have to pay an estimated £150million for the pair. Both have been world class performers for Real Madrid down the years, and had starring roles in three Champions League final victories for the club under Zidane. It is little surprise the Frenchman now wants to work with both players again, with United in particular need of a player like Kroos in midfield. The Germany international is one of the best players in the world in his position and a natural heir to Michael Carrick as the likes of Fred and Nemanja Matic have struggled this season. Marcelo seems a less obvious signing given the recent form of Luke Shaw, though he is an experienced option to add depth to a squad that will likely lose both Ashley Young and Matteo Darmian as backup options in that position in the summer.